Today (after a bit of a break due to work) I bring you another new upload. This is yet another s3ccwish from tumblr made by a dear friend, annywaysimblr with a personal twist. 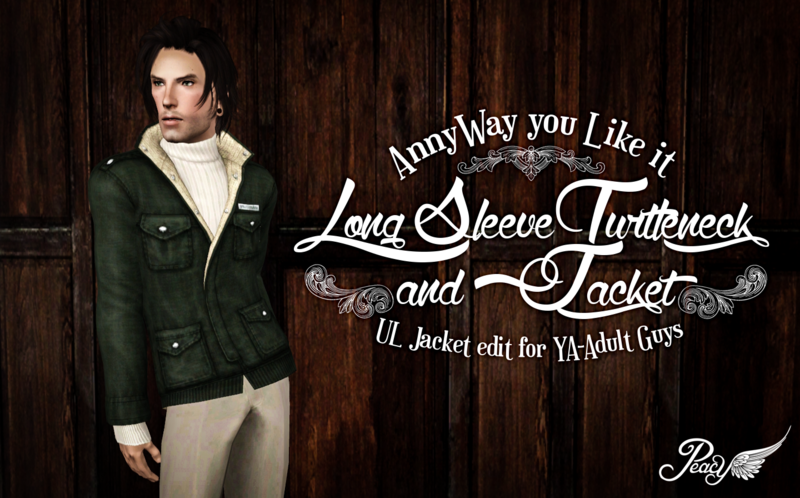 What we have here is the UL jacket with the shirt changed out for a turtleneck and sleeves added. 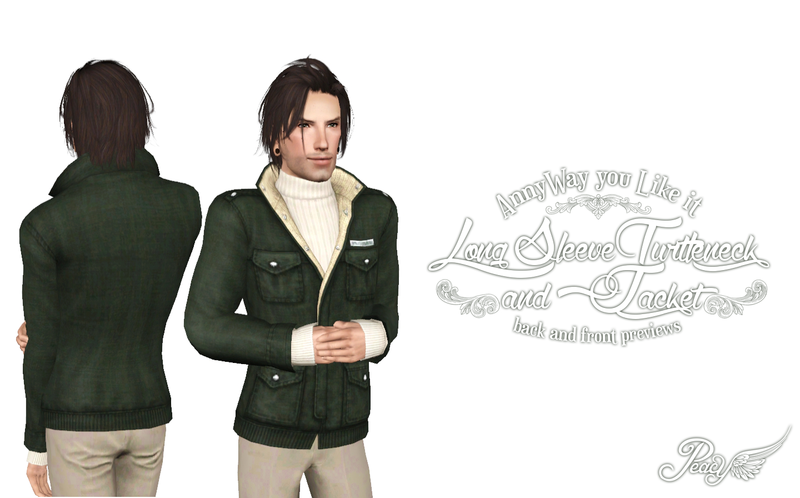 We both liked the UL jacket and details so there was no point changing them, then I added the turtleneck which looks really good, great for those cold winter evenings. As usual, the archive contains both the sim3pack and package files along with the preview picture. Choose your preferred file type and you can delete the rest.